Tooth decay or cavities happens when bacteria accumulate in your mouth create acids that abrade your teeth. If left untreated, tooth decay may eventually worsen to infections, toothache, and possible tooth loss. The decay process starts with hidden damage to the teeth enamel and gradually eats into the internal layers of the tooth, before reaching the pulp. The teeth’s pulp is an embodiment of delicate blood vessels and nerves. Failure to brush and floss regularly, not cleaning your tongue correctly, and not using mouthwash all amount to poor oral hygiene. Poor oral hygiene habits cause tooth decay and can be corrected through diligence. Ensure you brush your teeth at least twice daily, ideally doing it after every meal. Ideally, you should avoid food with high sugar content, high carbohydrate, and high acid content to avert tooth decay caused by poor nutrition. Ensure you consume only a healthy diet and avoid sugary, acidic drinks. People with enamel issue and deep crevices are prone to tooth decay. It is very easy for bacteria and plaque to grow in those inner tooth crevices. Dental sealants help solve this problem by covering those crevices, but it is only useful when the teeth are not yet affected by decay. Saliva is highly beneficial for inhibiting the development of plaque. People with dry mouth are more prone to dental issues and consequently tooth decay. Dry mouth may be a result of prescribed drugs, a genetic condition, or medical problems such as diabetes. The dentist can help you to deal with dry mouth to prevent further tooth decay. Some people have tooth decay due to genetics. Just as traits like eye color and hair can be inherited from your family, some people have issues with tooth decay because of inherited enamel issues and deep tooth crevices. Many people are not aware that they grind their teeth. It usually happens when people are stressed or asleep. Tooth grinding abrades the outer layer of the enamel, causing tooth decay. You can stop this activity by using “bite guard” and reducing stress. When you reach a certain age, you become more susceptible to tooth cavities. This is mostly due to medications, gum recession from aging, and poor oral hygiene. Finally, refusing to meet the dentist is a subtle invitation for future tooth decay. 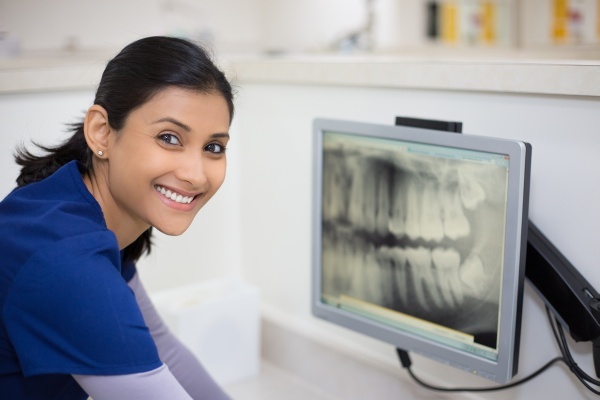 The dentist can help you detect the presence of plaque because it worsens into cavities. Typically, you should book an appointment with the dentist for general cleaning and assessment. The dentist will examine your mouth for possible signs of tooth decay. If they detect any issue, a form of treatment will be quickly provided. Your dentist will also suggest preventive procedures that will help prevent future cases of tooth decay. Generally, the primary cause of tooth decay is a lack of proper oral hygiene. With excellent oral health, you will be able to avert many oral diseases.